Although automakers have largely scaled back production to better meet demand over the past couple of model years, you can still expect to pay less than MSRP on just about any combination of the 2012 Dodge Ram 1500. The 2012 Ram 1500 is big and burly yet very detail-oriented; and for those who want a good ride and refined interior, it's one of the best bets. Ram truck models like the 1500 now no longer carry the Dodge badge; instead Ram is its own brand. While that might have seemed confusing at first, especially as Chrysler phased that in last year, it makes sense--leaving Dodge more freedom in its car designs, while Ram trucks can continue in the bold direction that truck buyers want to see. 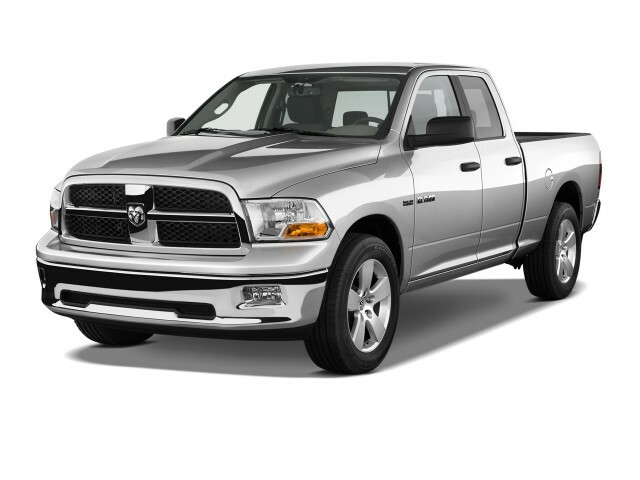 In its latest generation, introduced for 2009, the Dodge Ram 1500 became more capable, and even bolder than before, while finally getting a stylish new interior that quite simply, catapulted them up the head of the class in refinement and materials. Altogether, it's one of the toughest, most composed pickups on the market. Provided you go with one of the V-8 engines, performance is a strong suit for the 2012 Ram 1500. The exception is the base 3.7-liter V-6 and four-speed automatic, a combination that deserves to be called anemic; its mileage isn't much better in the real world, either. The 5.7-liter HEMI V-8 and six-speed automatic, on the other hand, really brings the capable chassis to life--and it hits an EPA-rated 20 mpg on the highway. The Ram 1500 is the best-riding pickup and one of the best-handling models, thanks to a stiff chassis, compliant tuning, and rear coil suspension. Steering is quick and light, as it is in most full-size trucks, but what's surprising is how quiet and composed the cabin stays as you cruise at fast Interstate speeds. In any of the Ram versions, front seats are generously sized and offer a great view forward. Leg and head room are abundant in back as well in Crew Cab models, though not so much in Quad Cab models. Under-floor storage bins supplement the optional, lockable Ram Box integrated into the fenders, and in general, there's plenty of storage space. Meanwhile, the Ram's wide cabin makes space for real three-across seating on the standard bench. Models with the adjustable bucket seats are divided by a huge center console. Many of these models also include "store in the floor" storage bins--good for beverages and ice. To cater to whatever your specific truck need, the Ram is offered in a bewildering array of combinations. Basic models skimp on the details but keep the core macho look, while top-end variants have all the luxury and style of a high-end sedan. Three cab types are available: Regular, Quad, and Crew. Regular-cab Rams can be had with 6.4-foot and 8-foot beds, while the Crew Cab models come with a 5.7-foot bed, and Quad Cabs offer a 6.4-foot bed. The Quad cab is the equivalent of "extended" cabs from other truckmakers, while the Crew Cab is the longer four-door model. A total of eleven trim levels--Tradesman, Express, ST, SLT, Outdoorsman, Sport, Sport R/T, Lone Star, Big Horn, Laramie, and Laramie Longhorn--cover a vast span of equipment and intended uses. 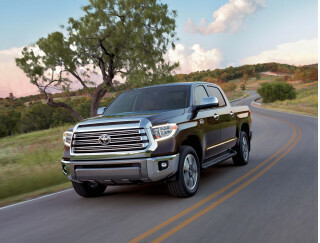 Special-edition models, packages, and dealer-installed accessories further broaden these trucks' appeal, and a factory spray-in bedliner is now also available on all models. While the 2012 Ram 1500 does come with plenty of safety equipment, including an optional rear-view camera system and large side mirrors that help with highway lane changes or when towing, its safety ratings leave a lot to be desired. Overall federal ratings of three out of five stars, and a couple of 'marginal' scores from the IIHS, could be cause for concern for the most safety-minded. Just as the Ram's Ford, Chevy, Toyota, and GMC rivals, the Ram ranges from barely over $20k for a base model all the way to near $45k for decked-out Longhorn and Laramie models. Go for one of the Ram ST models, and you'll get a stripped-down work truck with traditional truck appeal (think roll-down windows), but upgrade to a top Laramie or Laramie Longhorn and you'll get a loaded luxury truck that you could take out to a fancy dinner, in a suit. On upper trims you get USB and Bluetooth, a hard-drive-based music system, and voice-activated navigation. Other available options include a DVD player for both front and rear seat passengers; heated rear seats; and heated-and-ventilated front seats. An available R/T package adds 22-inch wheels and tires and a restyled front air dam, and can get to 60 in just 6.1 seconds. Also, a new Mossy Oak Edition brings a special camo look. The Ram 1500 pops, in the fashionista sense. Ram's 1500 full-size truck doesn't have all the visual impact that the first-generation Dodge Ram had back in 1994, but it's still more evocative and more instantly recognizable than any other full-size truck.It's been carried over since a 2009 redesign again this year, and there's not much reason to change its looks: its strongly identifiable outline, the tall chromed grille, and the tidy swells around its wheel wells are as tasteful and distinctive as ever. New versions don't change the essentials: Ram Outdoorsman and Laramie Longhorn editions, for example, just tweak the details with two-tone paint colors and differing degrees of metallic trim. Unlike the Ford F-150, the Ram doesn't look robotic and edgy, and it's not as soft as the Chevy Silverado. 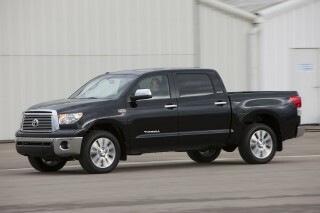 The Toyota Tundra's oddball shape is an outlier among the group. HEMI power makes the Ram 1500 our favorite full-size truck to drive, and its ride quality is tops. The Ram 1500 may come with a choice of three different drivetrains, but if price isn't as much of an object, throw out the base and mid-line versions and Chrysler's HEMI engine will never let you down. The base V-6 is a 3.7-liter, an old design, wheezy on the go, and not very fuel-efficient. It's coarse enough to relegate itself to stripped-down workhorse duty, leaving Chrysler's solid 4.7-liter V-8 to take its place as the Ram's real base engine. Standard on Outdoorsman and SLT trucks, it's a familiar powerplant that's pegged at 310 horsepower, and acceleration is strong enough to justify its existence. It's just that, on any given day, we'd prefer and pay for Chrysler's splendid 5.7-liter HEMI V-8. Good for 390 horsepower, the HEMI not only is standard in Sport, Laramie, and Laramie Longhorn models, it's the top fuel-economy choice in the lineup, since its cylinder-deactivation technology boosts gas mileage to the top of the lineup at 14/20 mpg (or 13/18 mpg with four-wheel drive), and its HEMI charm ripples through every time you goose the accelerator pedal. Coupled to the same transmission as last year--but recalibrated to select a previously available but unused gear when downshifting in manual-shift mode--the HEMI trucks can reach 60 mph from a dead stop in 6.1 seconds, Chrysler says. It's not just HEMI grunt that makes the Ram a joy to drive. Hauling and driving are more strong suits of the Ram. Its stiff chassis and rear coil suspension provide a better, more controlled ride than its competitors--and better than any previous Dodge truck. Steering is quick, but numb and devoid of feedback--to be expected in a full-size pickup, but somehow less than the chassis deserves. A 11,500-pound tow rating puts the Ram Tradesman right near the front of the class, though new models from Ford and Chevy have taken things slightly farther. The Ram 1500 takes advantage of its size in delivering good interior room, and it has one of the nicest full-size truck cabins. Comfort and size aren't always directly related, but the Ram 1500 pairs them in a sensible way. Its size translates into seating for three adults across the standard benches, if needed, and some clever in-cabin storage that the competition doesn't offer. Ram specifies three kinds of full-size truck bodies. Regular Cab is the standard two-door truck, with a sliver of space behind the bench seat--the most utilitarian truck type of all. The Quad Cab corresponds to other truckmakers' "extended" cabs, while the Crew Cab has four full-size doors, all hinged at the front. In front, bench-seat models have good shoulder room, even for three adults, while Ram 1500s with the adjustable bucket seats are divided by a huge center console. Crew Cab models' rear seats aren't the bolt-upright units you might expect, instead offering a nice recline. Leg and head room are abundant in back as well, though not in Quad Cab models. Under-floor storage bins supplement the optional, lockable Ram Box integrated into the fenders, and in general, there's plenty of storage space. Complementing the three cab types are six trim levels: ST, SLT, Outdoorsman, Sport, Laramie, and Laramie Longhorn, while a handful of special-edition models are also available. 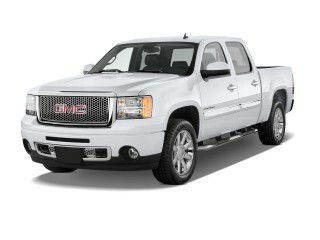 As we discuss in the Features section, they can range from bare-bones workhorses to plush luxury trucks. In most of them, noise suppression is admirable, with both road and wind noise held to very low levels for the full-size pickup class. Interior quality and feel are as good as or better than any other truck on the market. Safety features like a rearview camera are available, but the Ram 1500's crash-test scores aren't all great. The Ram 1500 has some worthwhile safety features on its options list, but its crash-test scores aren't as good as those scored by the F-150 and Tundra. The National Highway Traffic Safety Administration (NHTSA) splits the Ram's crash-test scores by body style. Regular Cab editions earn just three stars overall, but Quad Cab and Crew Cab versions are rated at four stars. The Insurance Institute for Highway Safety (IIHS) gives the Ram lineup "good" ratings for front and rear impact protection, but calls roof- and side-impact protection "marginal." Like other pickups, the Ram doesn't offer high-tech safety features like blind-spot detection though the optional rearview camera is handy and welcome due to the Ram's high ride height reducing rearward visibility. Optional large, folding trailer side mirrors enhance visibility as well. The Ram 1500 conquers some ultra-luxury sedans with its available luxury and infotainment features. 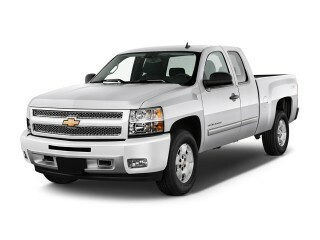 Luxury cars may get the nod for standard features, but pickup trucks get our respect for their versatility. You can buy a stripped Ram 1500 for the toughest kind of work duty, or a fully loaded one with connectivity and entertainment features superior to those in some exclusive $100,000 four-doors we've driven. Base Ram 1500 pickups don't have much on the features list: roll-up windows and an AM radio are standard. Some eleven different models bring in bundles of features and options from there -- from Tradesman trucks that highlight exceptional towing capacity of 11,500 pounds, to Sport R/T trucks with standard HEMI power and the best truck acceleration in the class, to Laramie Longhorn and Laramie Limited trucks with heated leather seats, power features, remote start, a rearview camera, even a Bluetooth-enabled, hard-drive-based music system and voice-activated navigation system. Chrysler's uConnect package of multimedia and connectivity features is the best in trucks. Not only does it offer Bluetooth, it also has a USB port for 3G dongles that turn it into a rolling wireless Internet hotspot, and Sirius Backseat TV as an option brings three channels of kid-friendly programming on board. Other available options include a DVD player for both front and rear seat passengers; steering-wheel-mounted radio controls; Sirius Satellite Radio; and in Laramie versions, finely detailed interiors with a range of exterior color options. An available R/T package adds 22-inch wheels and tires and a restyled front air dam. Just keep in mind that the top-of-the-line Laramie Limited costs more than twice as much as the base Ram 1500, but offers so many more features and amenities it's almost a different truck. If you can afford it, the Ram 1500 HEMI won't cost anything more than base trucks at the pump. 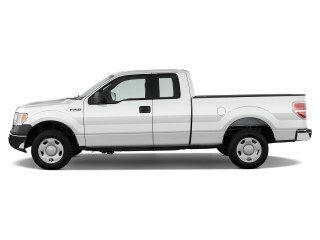 Gas mileage is probably the least likely reason shoppers look at full-size pickups. The base Ram 1500 can't compete with the most efficient trucks from Ford and GM; its strongest powertrain actually saves more gas. The EPA breaks down the Ram lineup by powertrain. Base V-6 versions are rated at 14/20 mpg; the engine's aging design isn't up to the task of competing with Ford's newest V-6/six-speed automatic, which is rated at 17/23 mpg. The Ram's mid-line 4.7-liter V-8 is more competitive in its class. With its five-speed automatic and rear-wheel drive, it's rated at 14/19 mpg. It's also flex-fuel-capable, but when running on E85, economy drops to 9/13 mpg due to ethanol's lower energy content relative to gasoline. Chrysler's rorty, powerful HEMI V-8 is the powerplant of choice, and its gas-mileage numbers tie its own V-6 for top honors. The 5.7-liter engine earns an EPA rating of 14/20 when it's outfitted with rear-wheel drive; the engine has cylinder deactivation, which cuts off fuel delivery to some cylinders when full power isn't needed. Opting for four-wheel drive, available only on V-8 models, knocks 1-2 mpg off the city and highway ratings for a 13/18 mpg rating with either engine.